The home to the world's most expensive house, as well as to Asia's most expensive slum. 1. Mumbai has only 1.1 square meters of open space per person. That’s less per person than in New York, Hong Kong, Shanghai, and Mexico City. 2. The local trains were built to hold 1700 passengers, but they often carry three times that number, leading to such notorious crowding that railways have given peak hours a special name: the ‘super dense crush load'. 3. To build a house in Dharavi could cost more than a whooping ₹3 lakhs, making it the most expensive slum in Asia. 4. Meanwhile, the city is also home to the world's most expensive house, Antilla, a 27-storey wonder owned by business tycoon, Mukesh Ambani and priced at $1 billion. 5. Gilbert's Hill in Andheri, one of Mumbai's best-kept secrets, is a geological anomaly — a single column of black basalt rock that rises to a height of 200 feet, with a vertical face. 6. In September 1668, the island of Bombay was granted to the East India Company at an annual rent that equaled roughly £1,500 today, which works out to about ₹1.5 lakhs. 7. TECHNICALLY, it's still illegal to purchase alcohol in Mumbai, according to The Prohibition Act, 1949. 8. The erstwhile ‘Bombay’, which is actually a set of seven islands, was not part of the British Empire but was given as a dowry by the Portuguese when Princess Braganza married Charles II of England. 9. The amount of steel wire used in the Bandra-Worli Sealink is equivalent to the total circumference of the earth. 10. Dharavi and slums in Kurla-Ghatkopar, Mankhurd-Govandi and Bhandup-Mulund, house more than half of Mumbai’s 12.4 million people. 11. The "Zero Mile of Mumbai" is recognized as the geographical center of the city. 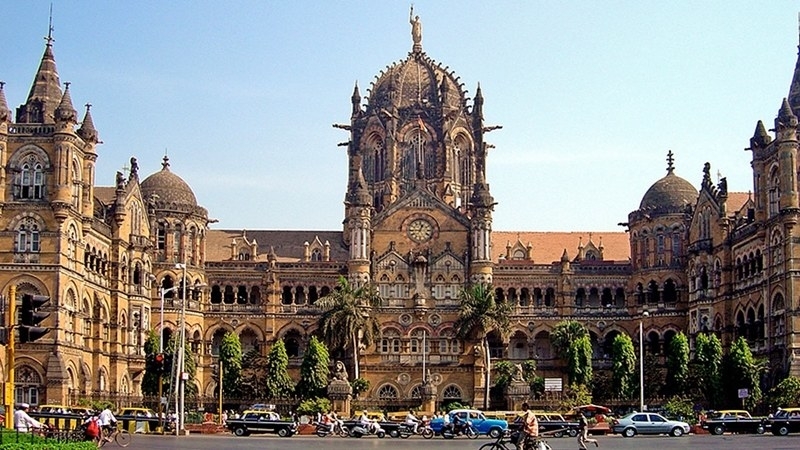 It consists of three landmarks, namely Flora Fountain at Hutatma Chowk, the Asiatic Society Library in the Fort area, and the GPO near the CST terminus. 12. Scientists have projected that by the year 2020, it’s population will swell to 28 million, making it the world’s most populous city. 13. During the 26/11 attacks, after he opened fire in the Chhatrapati Shivaji Terminus, terrorist Ajmal Kasab was also charged for not having a train ticket whilst on the railway station. 14. The flight distance from Kolkata to Bangkok (1,614 km) is less than the distance between Mumbai and Kolkata (1,658 km). 15. The local trains carry up to eight million people per day — equivalent to almost double the entire population of New Zealand. 16. Every year, 3,500 people die on the train tracks — an average of ten per day. 17. Mumbai is the only city in the world which boasts of a national park within city limits — the Sanjay Gandhi National Park, covering 104 sq. km. area, divides the central and western suburbs. 18. Forbes magazine awarded the Dabbawalah network with its highest rating, Sigma Six—a rating that is shared with corporate giants like General Electric and Motorola, and which signifies less than one error per one million transactions. 19. The Asiatic Society Library houses one of the two original manuscripts of The Divine Comedy by Dante, written in 14th century. Italian dictator, Mussolini, even attempted to have it returned to Italy for £1 million during his reign. 20. Mumbai’s literacy rate is 90.8, one of the highest in the country. Only Nagpur’s literacy rate is higher at 92.38. 21. Migrants coming into the city with second-hand clothing and bedding, and who do not inform the Commissioner about it and do not get it inspected, will be fined ₹1000. 22. 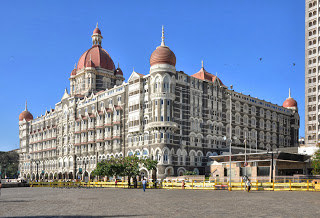 The Juhu Aerodrome was the first airport of India, the Taj Mahal Hotel, founded in 1903, is India’s first five-star hotel and the Chhatrapati Shivaji Terminus (CST) is the first railway terminal in India. 23. Bombay was actually named by Portuguese explorer Francis Almeida after Bom Bahia, literally meaning ‘The Good Bay’. The present-day name ‘Mumbai’ is named after goddess Mumba Devi of the Koli community. 24. Central Park in Kharghar, Navi Mumbai, is believed to be the largest park in Asia and the third largest in the world. 25. Reliance wanted "Mumbai Metro" to be named "Reliance Metro", however, this was opposed to by the MMRDA, who won the case against the former. 26. Mumbai is home to 32 billionaires, with a net worth of $115.1 billion. That places the city on the sixth position of the list of cities with the highest number of billionaires. 27. In July 2017, Maratha Mandir broke its streak of continuously screening Dilwale Dulhaniya Le Jayenge for 22 years, just to screen a show of Haseena Parker.